With the Enphase MyEnlighten web application, you can track your energy production, monitor your system’s health, and share your data with family and friends, all from a simple, easy-to-use interface. 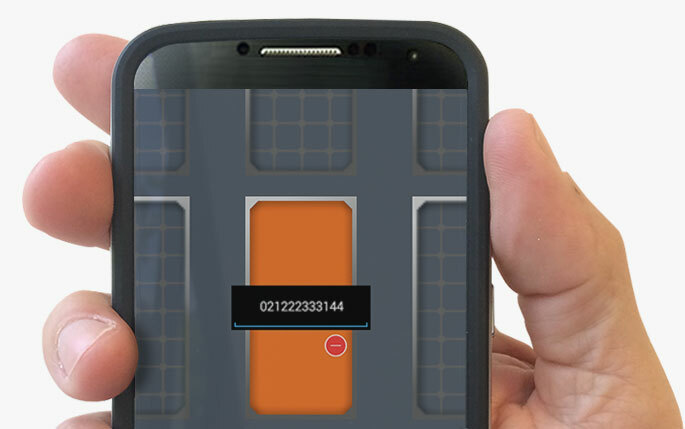 With the Enphase Enlighten mobile app, you can check your system’s status at-a-glance without scrolling and still dive into the details of your system’s health and performance, all while on-the-go. One tap takes you to energy production graphs and overviews of your energy consumption and storage (if applicable). Get it at the App Store or Google Play Store. All the data you need for smarter, simpler management. Get it at the App Store or Google Play Store. 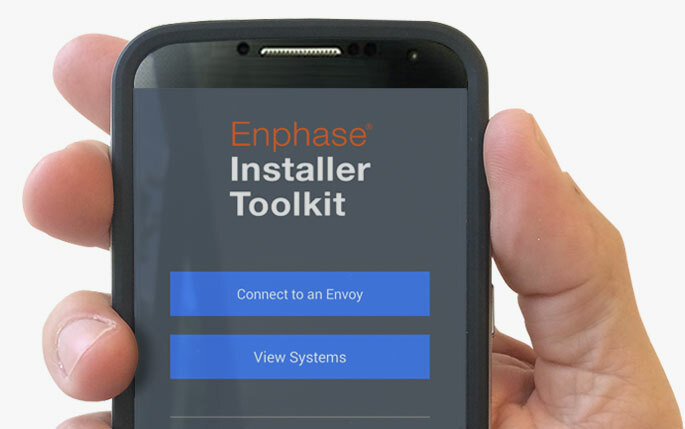 The most important tool at the installation site is the Enphase Installer Toolkit. Directly connect to an Envoy for easy setup. 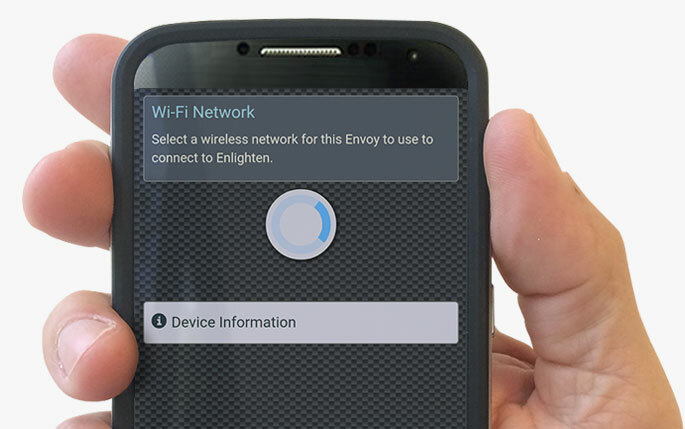 Use the app to connect the Envoy to an existing network for wireless reporting to Enlighten. View and email a status report to verify the installation is complete. 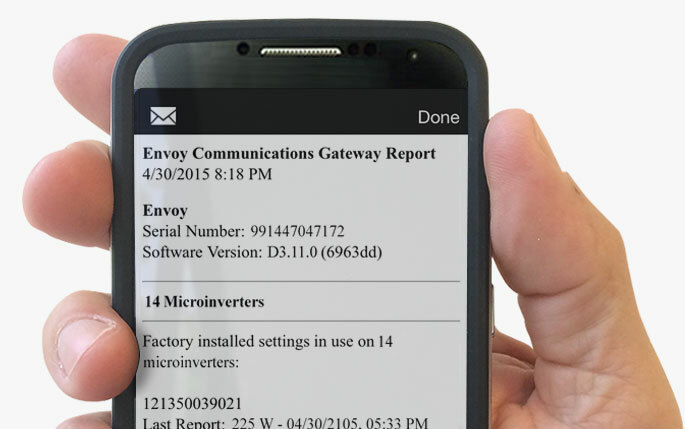 Connect to the Envoy after scanning to provision the microinverters so there’s no need for the Envoy to discover devices. Sync the array information with Enlighten for faster system activation. 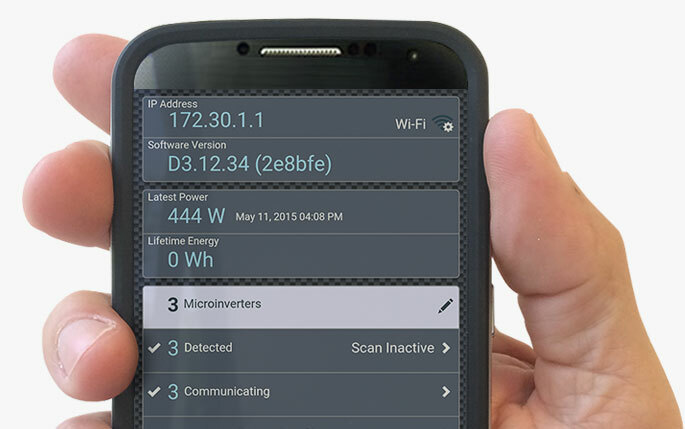 See which microinverters are detected, communicating, and producing power.